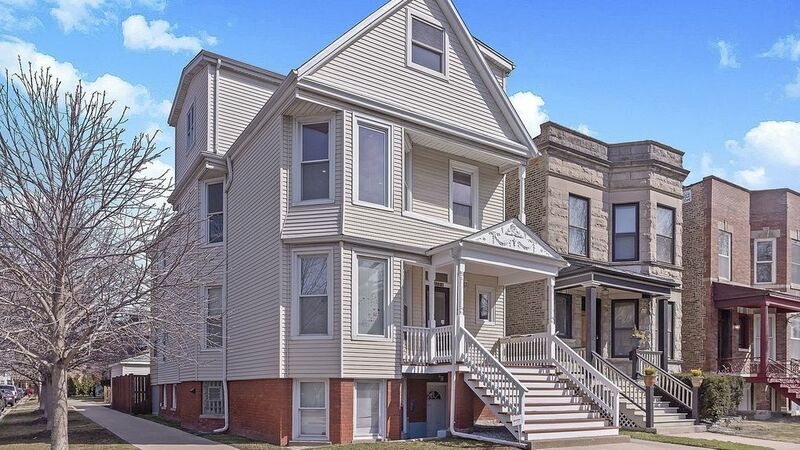 Roscoe Village Turn Key investment! Very well-maintained w/perfect owner's unit duplex-up! Super easy to rent with El only 2 1/2 blocks away! Owner's duplex up completed in 2008 with 5 bedrooms/2baths, updated kitchen and hardwood throughout the entire building.Super Cute English Garden 2bd/1ba, Spacious 1st Flr 3bd/1ba w/new kitchen. Yard and garage. Units under rent! Owner's unit can easily rent for $3500! Garden $1300? 1st floor $1850? New electric, plumbing, newer tear-off roof, new windows. Nothing to do but just move in or start renting it out! All units have separate utilities/central air. Steps to Heart of Roscoe Village and Lincoln Square.